Visit Boston Market careers page at bostonmarketjobs.com, bostonmarket.com/careers or bostonmarket.com/jobs to view more information about the brand, team and careers at Boston Market. You can quickly search job opportunities for you by entering keywords, zip code and selecting state, city and job title. Here we select California and all job titles to view California job openings. 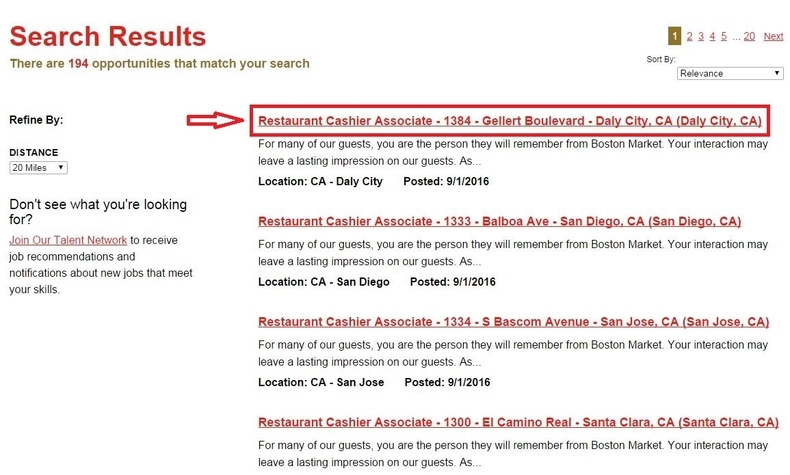 Browse your search results and select the position you are interested in. You click the job title to view the detailed information about the position like job description, essential functions, competencies, responsibility, work environment, physical demands, required education and skills etc. and decide which position you are going to apply for. Once you decide, just click the button "APPLY NOW" on the job details page to move on. By clicking the APPLY NOW button, you will be directed to a page where you can start your application by clicking the button to sign in or create a new account. 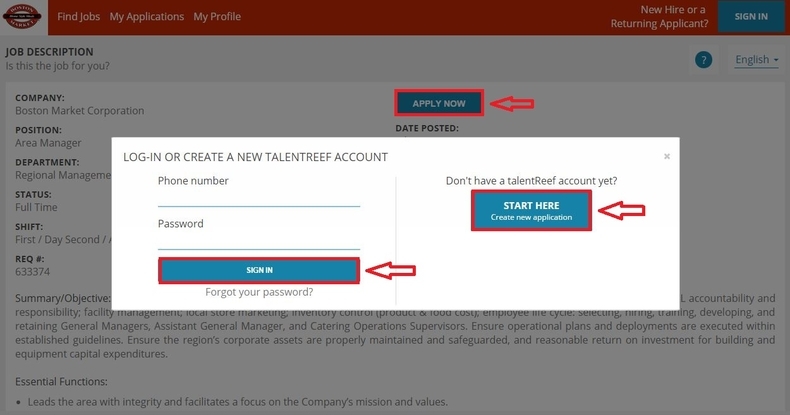 You can double confirm whether you can match the requirements or you are going to apply for the position and then click the button to sign in or create new application if you are sure to apply for the position. Follow instructions to answer some job related questions. When you finish a question, you will be automatically entered into the next question. To complete all the questions, you need to confirm that the questions you've answered are correct and then click the button CONFIRM APPLICATION to continue. After the confirmation of your application, you need to click the button PROCESS WITH ASSESSMENT and answer all the given questions by selecting appropriate answer. To complete the questions in a page, you need to click the button NEXT STEP to continue. Finish the assessment and you will be led to a page where you can see the JOB APPLICATION COMPLETE notification. You will see the list of the jobs you currently applied for by clicking the button OK. Please remember your login phone number and password so that you can check your application status in the future. 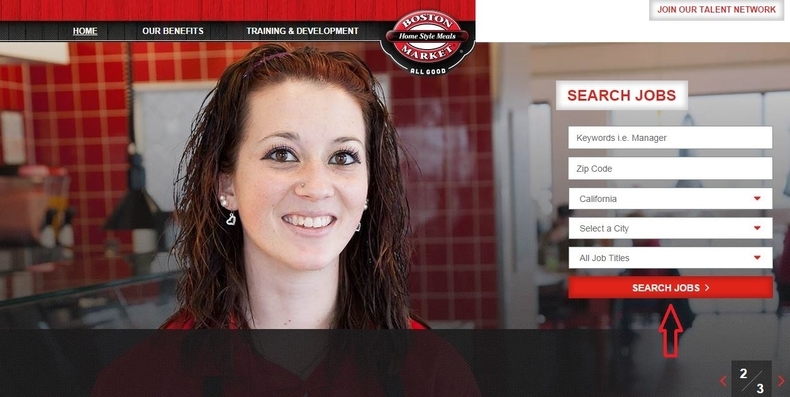 Click bostonmarketjobs.com to apply for Boston Market jobs online.